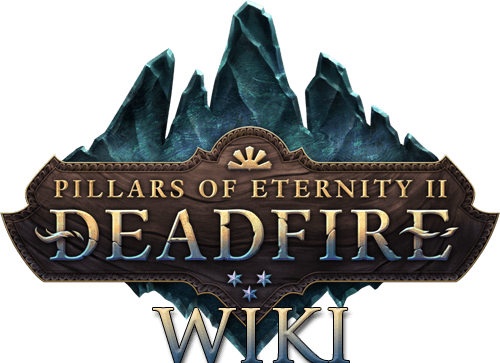 Pillars of Eternity 2 Deadfire Wiki will guide you with all the information on Classes, Races, Quests, Weapons, Armor, Items, Walkthroughs and more! Learn about Multiclasses in our Multiclassing Guide. Pillars of Eternity II: Deadfire is a CRPG by Obsidian Entertainment - bringing players an extended experience of the critically-acclaimed Pillars of Eternity title. The second installment was successfully funded on crowdfounding platform "Fig" within 24 hours, and stretched to raise over 4 million USD. Featuring multilayered environments, players will have class freedom and engage in true CRPG character development throughout the game. With revamped inventory screens, expanded spells, abilities and overall controls, the game promises to captivate the RPG fanbase for months ahead.